Digital Promise Global is an independent, bipartisan 501(c)(3) nonprofit that aims to spur innovation in education for all levels of learners. Positioned at the intersection of educators, entrepreneurs, and researchers, Digital Promise Global identifies, develops, and promotes strategies to improve all levels of education and provide Americans with the knowledge and skills needed to compete in the global economy. Digital Promise Global is a fast-paced, growing, entrepreneurial organization that values and rewards performance, collaboration, and innovation.performance, collaboration, and innovation. The learning sciences portfolio at Digital Promise Global includes projects aimed at uncovering how best to promote learning and how to ensure that high-quality learning opportunities are implemented systemically and equitably. We are actively investigating how new sources of data can be used to support both of these goals. Our current portfolio of projects includes research-practice partnerships aimed at helping our partner education systems design and execute effective teaching and learning supported by technology. This work requires collaborative explorations of problems of practice, co-design of new approaches, and cycles of implementation and design refinement informed by data on implementation practices and learner outcomes. The populations served in our projects range from young children and their families, to school-age children, and college students, many of whom come from culturally and linguistically diverse backgrounds. 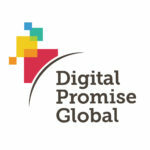 As part of the Digital Promise Global research team, the Quantitative Researcher/ Data Scientist will (1) contribute to and lead projects in our portfolio of current work, (2) develop and propose new projects aligned to his/her interests, and (3) contribute to internal and external efforts around developing best practices for working with new forms of educational data. A Ph.D. in learning analytics, learning sciences, psychometrics or related education field (Master’s with 5 years of research experience will also be considered). Desirable areas of experience include secondary analysis of large-scale state and national education databases, facility with Tableau, and classroom teaching experience or experience providing professional development to educators. Please apply and submit your resume, cover letter and salary requirements. Applicants are encouraged to submit their materials as soon as possible. Review will be on a rolling basis until the search is successful. Digital Promise Global is an equal opportunity employer and considers all applications without regard to race, color, religion, creed, gender, national origin, age, disability, marital or veteran status, sexual orientation, or any other legally protected status. To apply for this job please visit digitalpromise.hrmdirect.com.